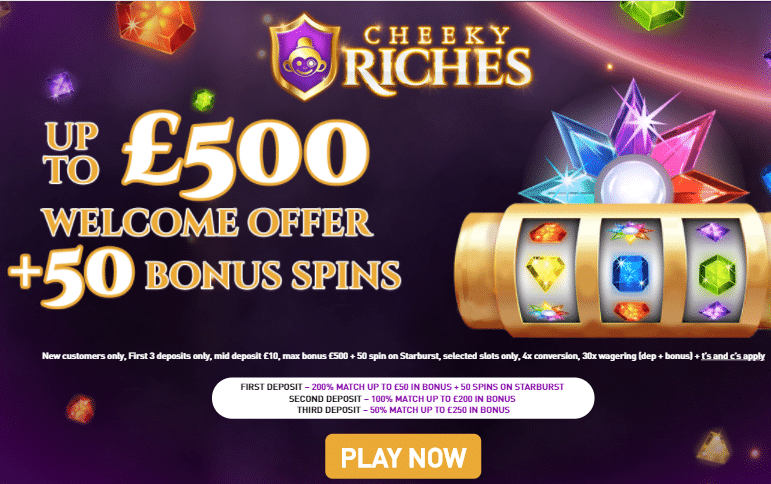 Gaming enthusiasts in the UK who want to receive the most out of their play are encouraged to play at Cheeky Riches Casino today! Make your third deposit of at least £10 in order to receive a 50% Bonus up to £250. Use the funds to play all the games you want. Cash out your winnings only after you’ve wagered the deposit and bonus amount 30 times. The conversion from the bonus funds is limited to 4x.